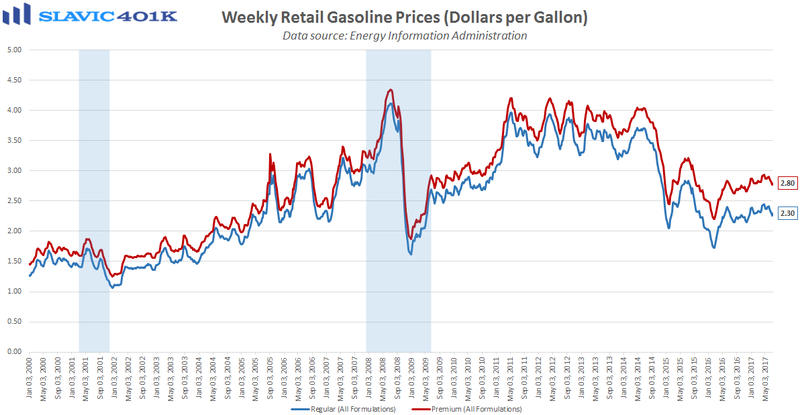 The latest data from the U.S. Energy Information Administration (EIA) showed that the average cost for Regular gasoline in America rose during the past week by four cents to $2.30 per gallon. That was the first increase in a month and the largest weekly gain since May. Regionally, the cheapest gas in the country can be found in South Carolina, where a gallon of Regular costs just $1.95 on average. Residents of California as usual have to pay the most in the continental U.S. for Regular ($2.94/gallon), and San Francisco is the city with the nation’s highest average price ($3.12/gallon). Last week’s rebound at the pump was in part related to a late-June bounce in the price of crude oil. However, the cost for a barrel of West Texas Intermediate (WTI) has already pulled back a bit, and some analysts expect even lower prices down the road. In fact, a recent research note from Goldman Sachs stressed that without “sustained trends in inventory draws and U.S. rig count declines or evidence of further OPEC actions,” WTI crude prices could fall back below $40 per barrel. 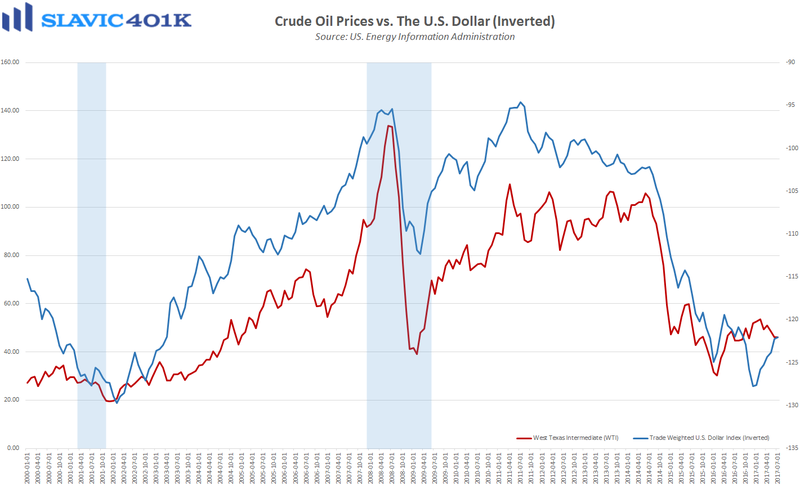 Such a scenario would be good news for consumers since cheaper oil will keep the cost of gasoline low, and in turn provide Americans with more disposable income.